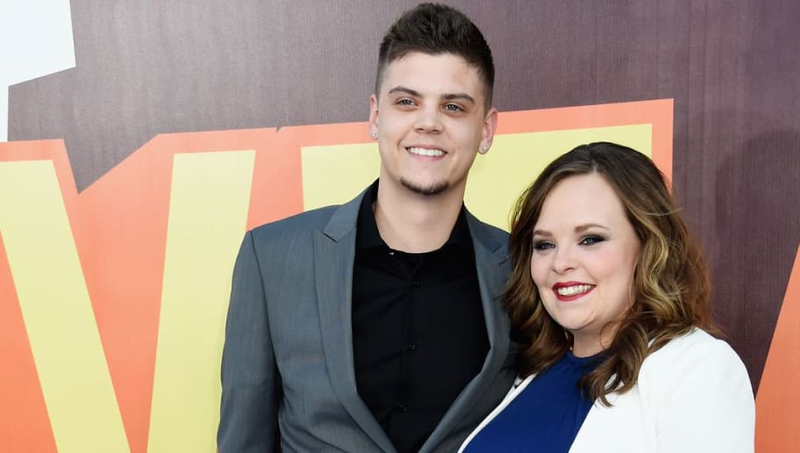 On the Dec. 3 episode of Teen Mom OG, Tyler Baltierra and his wife Catelynn revealed that they picked a name for their third daughter. Baby number three will be called Tezlee. After the episode, Tyler explained the story behind the name on Us Weekly’s Watch With US podcast. The 26-year-old reality star described how the name is a bit of a hybrid. Catelynn and Tyler have gone through this process twice before, once with three-year-old Novalee and for the first time with nine-year-old Carly, who they placed for adoption. This time around, Tyler didn’t hold back discussing Catelynn’s third pregnancy. Seriously...the best feeling as a father...is to watch pure joy light up on the face of his daughter! ? Thankfully, Catelynn and Tyler are both doing well and are excited for their third daughter, no matter how strange the name, to join them in March.